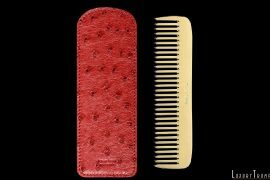 Spoil your pooch with some custom-made luxury. 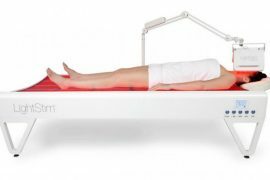 This is in addition to taking it to the dog spa and pedicurist. 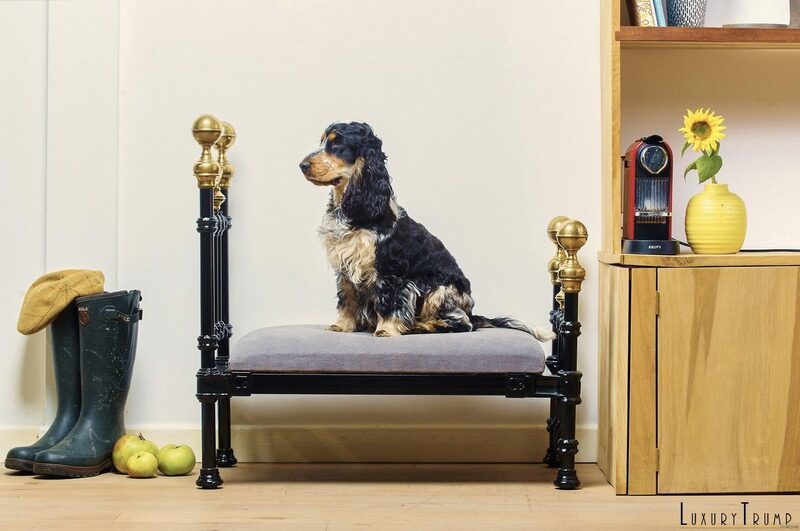 To make a pooch’s life lot more comfortable and luxurious, Cornwall-based Cornish Bed Company has designed a collection of luxury four-poster beds for your favorite four-legged friend. Cornish Dog Bed is not some run of the mill collection put together in a hurry. The range features 11 cast bed styles, all hand cast using Victorian construction techniques. 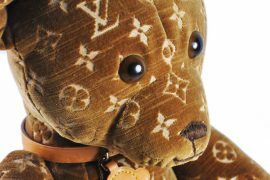 I keep repeating that luxury is not cheap, as you don’t already know it. 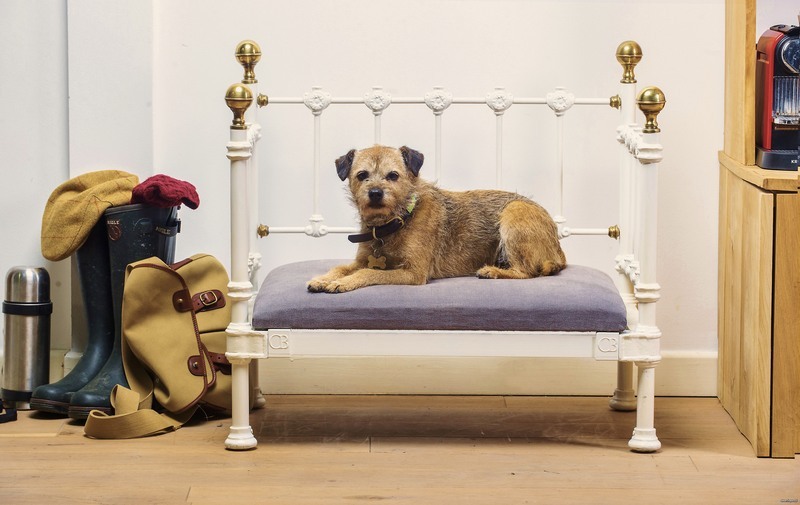 The Cornish dog bed prices start at £895 ($1,100) and go all the way up to £1,500 ($1,850). Further customization available for additional cost. 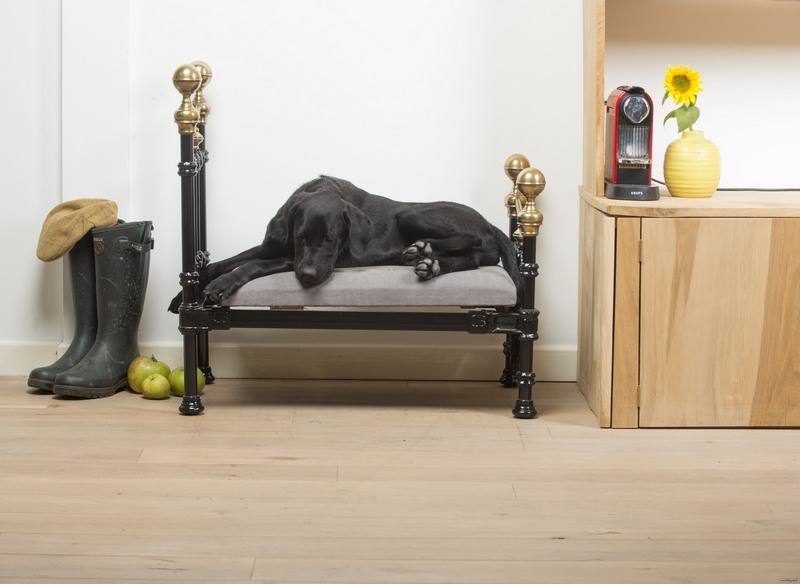 For that money, your dog gets to rest on a bespoke bed that includes a high headrest, footrest and an upholstered base made from wood and coconut fibers. Frame options available in brass, iron, and nickel. Cornish Bed Company, didn’t start out to make dog beds. As it often happens, this too is an accidental finding. They made a set of miniature versions to display and to show customers how their hand cast human beds are built. Customers liked the small versions so much they wanted to order them for their pets. That’s how they got the idea to design an entire range dedicated to man’s best friend. You can have them made for exact size depending on your dog, whether it’s a Jack Russell, Great Dane or Chihuahua. In addition to four poster beds, they also make day beds and any style you prefer. 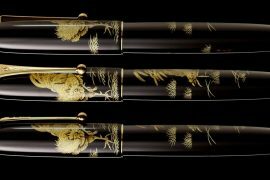 As you can see from images they pay great attention to finish and every detail. The joints on all beds are hand poured using traditional gravity casting. They use an in-house developed cast knuckle joint system to attach side rails to head and foot. Each bed comes with an imprinted unique identification number. Maybe your pooch is not spoilt and doesn’t demand much. That kind of pooch really deserves this kind of luxury bed to rest its head after a long walk around your posh neighborhood. 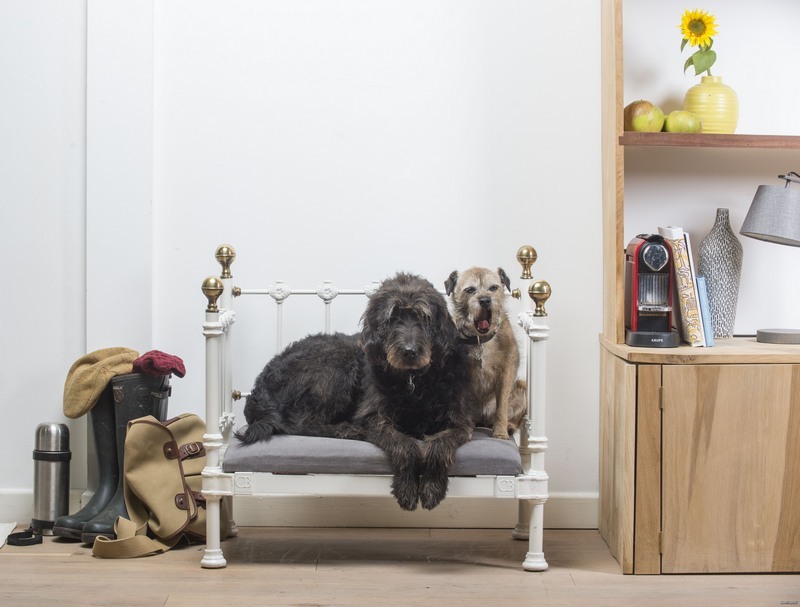 Cornish dog bed is this year’s must-have Christmas present for your canine friend.